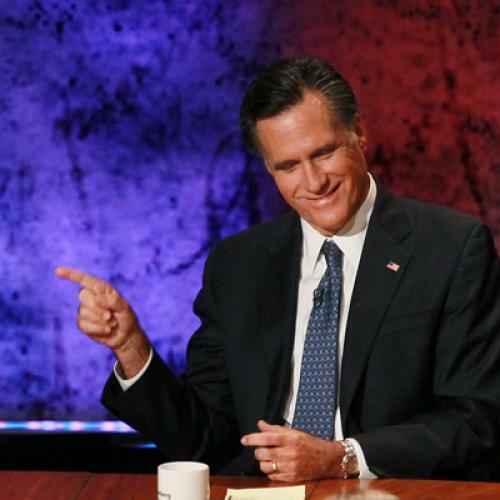 Will Romney win the debates with an array of zingers, as Boston intends? It’s certainly possible, but history suggests that the debates aren’t likely to turn on whether Romney remembers his zingers. For the most part, debates are won or lost on appearance and circumstances, not substance or great sound bites. Is there any precedent for victory by zinger? In vice presidential debates, surely Benson’s observation that Quayle was not, in fact, Jack Kennedy would qualify. Perhaps Reagan’s “there you go again” or his refusing to exploit Mondale’s youth and inexperience would count, as well. Could Romney pull something like this off? Perhaps. But these ’80s highlight-reels are the exception, not the rule. Since perspiration cost Nixon in the first televised debate, candidates like Al Gore have lost by sighing, and incumbent presidents committed horrible gaffes like glimpsing at a watch or appearing perturbed. Did Kerry land an incredible rhetorical blow during his debate against Bush? No, but he looked presidential and Bush was peevish. Here's one way to think about it: If SNL can knife the mannerisms of a candidate's debate performance, there's a real chance that he's lost. And after six years of Obama either running for president or holding the office, SNL still doesn't know how to make fun of the guy. While Chuck Todd thinks Obama is a mediocre debater because he doesn’t land flashy blows, that doesn't really matter. What's important is that the president’s subdued and level-headed demeanor likely won't give the media many weird mannerisms or stylistic flaws—like those that plagued the two Bush’s, Gore, McCain, or Nixon—to complain about. That may or may not hold true for Romney. But what's certain is that, unlike Obama four years ago, appearing capable and presidential won’t give him the boost he needs. It may help him reclaim a couple of points worth of latent Romney supporters who have become “undecided” following the DNC, but Romney’s candidacy hasn’t been hampered by perceived incompetence, inexperience, or inability to handle the presidency. Couldn’t Romney recapture the magic of 1980 and seal the deal with a line? Not if Reagan’s success in 1980 was more a product of circumstance than skill. Reagan delivered a simple message to an electorate that was all but assured to oust the challenger; there just isn't a similar magic formula for Romney in this election, much as there wasn’t for Kerry in 2004. Ultimately, Romney can’t win the election with a Reagan-like moment for the same reasons that the president is at 49 or 50 percent of the vote. This isn't to say that zingers won't help Romney's cause. A few well-executed blows will help Romney stay on the offensive, and that could shape coverage of who won or lost. But substance doesn't usually decide presidential debates, which often come down to whether a candidate looks a little bit off. That's a sad reflection on the media's coverage of the debates, but it suggests that how Romney appears will matter more than what he says.